An easy quilt made with the left over stripy batiks from Pretty Pyramids. 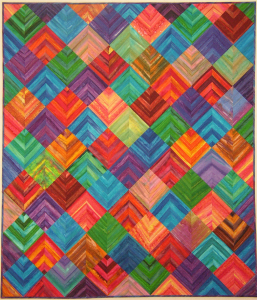 A block quilt made with all ½ square triangles. So simple! It is simply two half square triangles sewn into squares. The squares are set on point and sewn in diagonal lines.